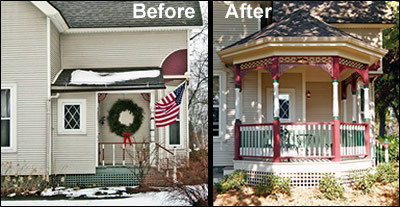 Restoration leaves this 1900 porch better than the original! 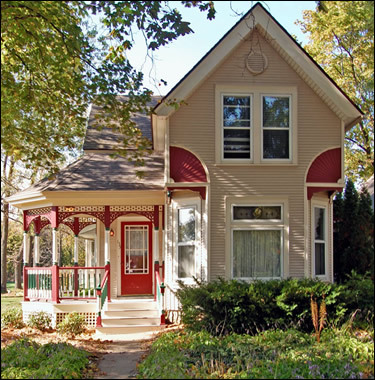 May is National Historic Preservation Month, so what better time to share this fantastic restoration from one of our customers! 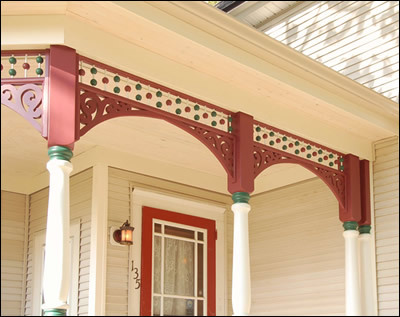 When the owners of this 1900 Victorian found their porch was rotting and falling down, they took the opportunity to rebuild even better than the original. 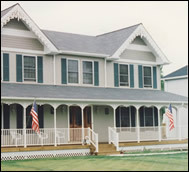 The new, larger porch balances much better against the tall right side of this home than the original small entry porch. One of our owners, Gregory, was a guest on The Porch Idea Network's podcast series at Front Porch Ideas & More. 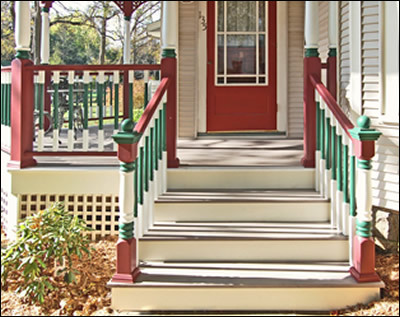 This is the second of three podcasts featuring Gregory as he shares his porch knowledge. 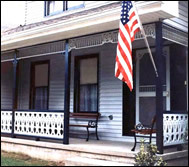 Their contractor, from Wallner Builders, says, "Though original to the home, the porch [shown at right] was so small that it appeared more like the rear door than the front and was not very inviting." 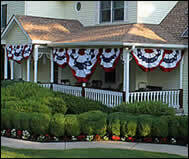 The owners wanted to create a wider, inviting entry that was large enough for a sitting area. 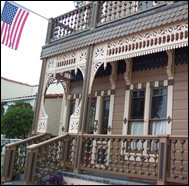 They were interested in a round porch so often found on Victorians, some Gingerbread without being too "frilly," and to carry the arch theme found over the front windows to the porch design. 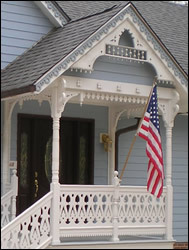 Overall, they wanted the porch to complement the home, being true to the period and original architecture. Eventually, an octagonal design was chosen to best fit with this home's scale and angular design. 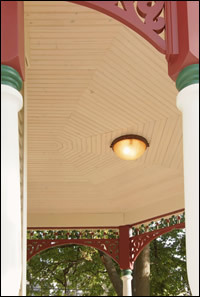 We suggest octagonal porches over round in many cases because they are much more cost effective! The owners and Wallner Builders did an excellent job. We're pleased to have been a part of this project. 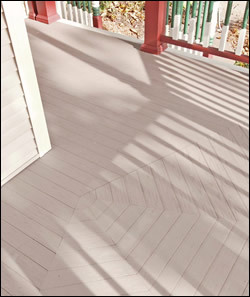 AZEK Cellular PVC Porch Flooring in slate gray was installed for permanence. 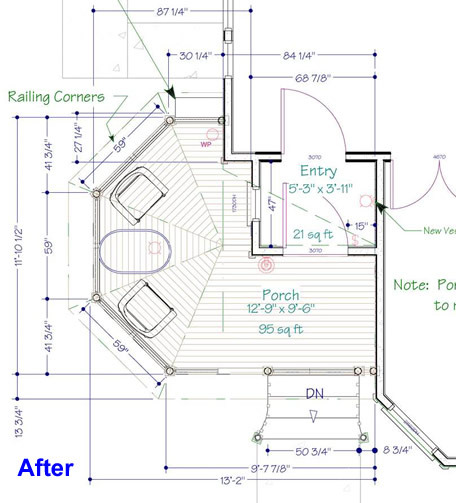 The converging pattern shown on the floor at left was also used in the ceiling, shown below. Wallner Builders say, "To enhance the beauty of the construction, the owners chose to stain the ceiling with a whitewash finish rather than a solid white." We agree it's quite striking with this color scheme. 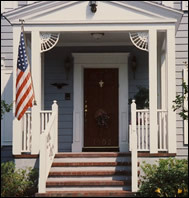 Ball and Dowel Spandrels and Arch Brackets continue the arch theme of the original arches over the front windows while remaining authentic to the period. 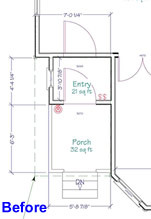 Photos and floor plan drawings courtesy of Wallner Builders. 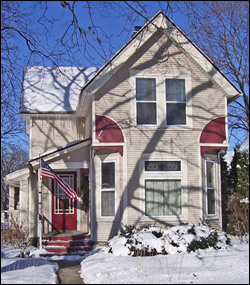 For our customers near Butler, WI, they can be reached at 262-754-3770 or www.wallner-builders.com.